Maintenance and renovation of black leathers. 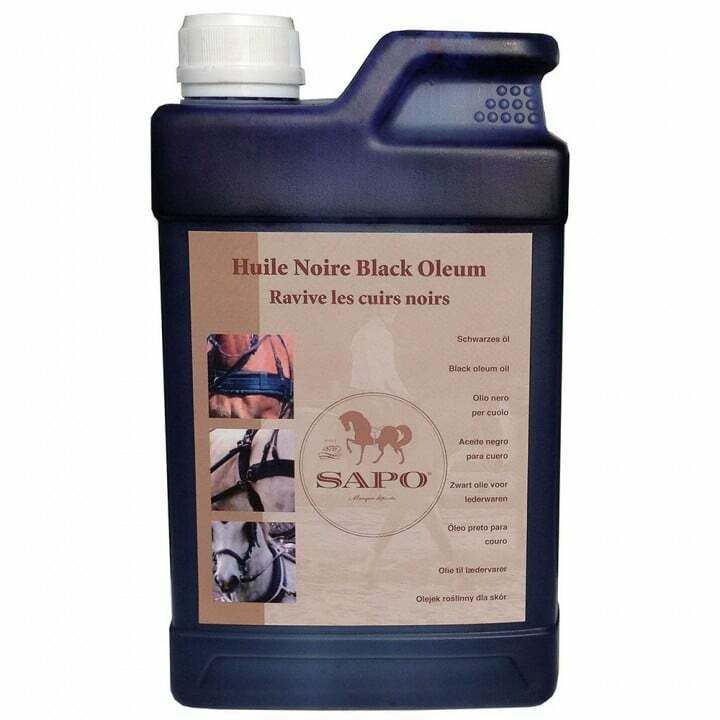 Softens, nourishes and regenerates leathers. 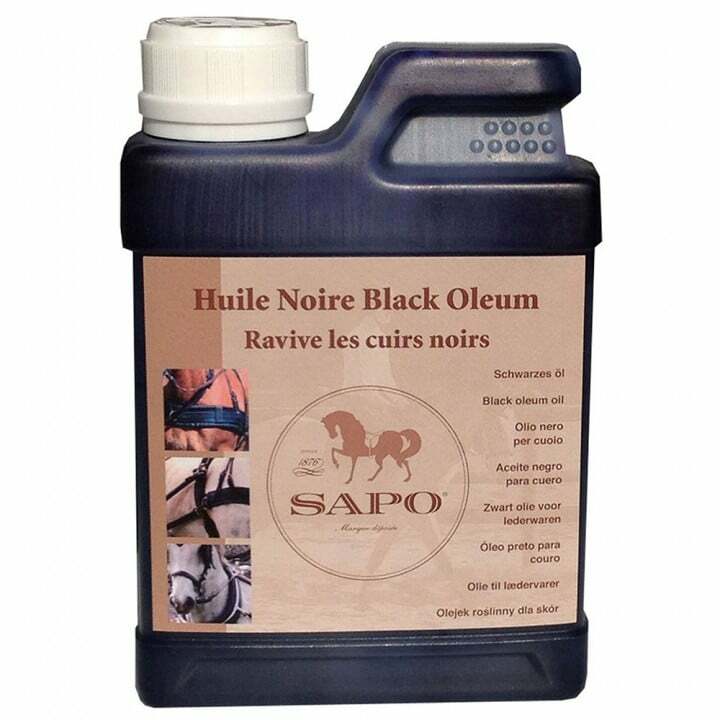 Black oil to dye Saddlery leathers and all black leathers articles ( harness, bridles, saddles, girth, snaffles, shoes, boots, bags, clothes, …). 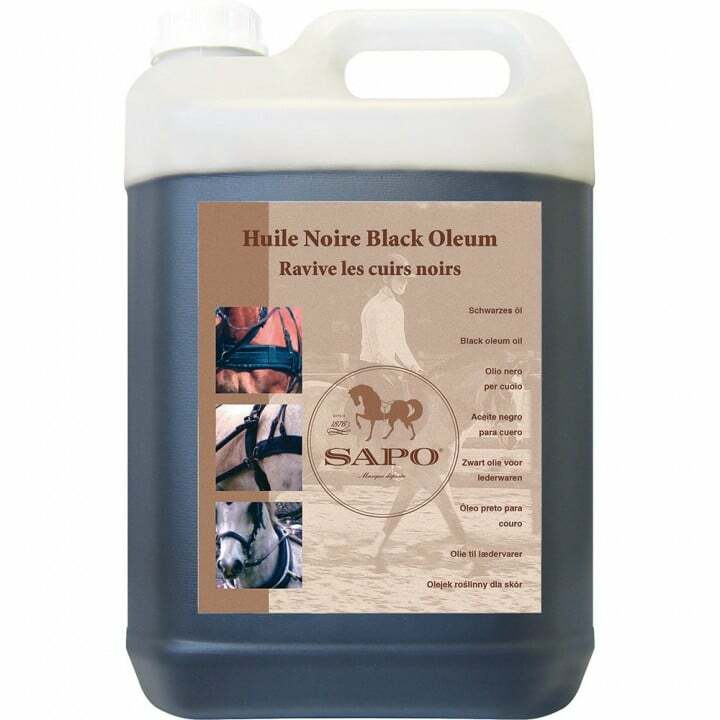 Renovates, softens and dye black old leathers in good condition. Brighten up black leathers. First apply SAPO glycerine soap and leave to dry. Saturate with the oil using a brush or a cloth until obtaining the desired color.